SDCC 2016: Justice League Trailer hits with a K.O! CBS have revealed the identity and approximate time of their new Star Trek TV series, Star Trek Discovery, debuting in January 2017 on CBS’ Pay Per View service in the US, and Netflix across the rest of the world. 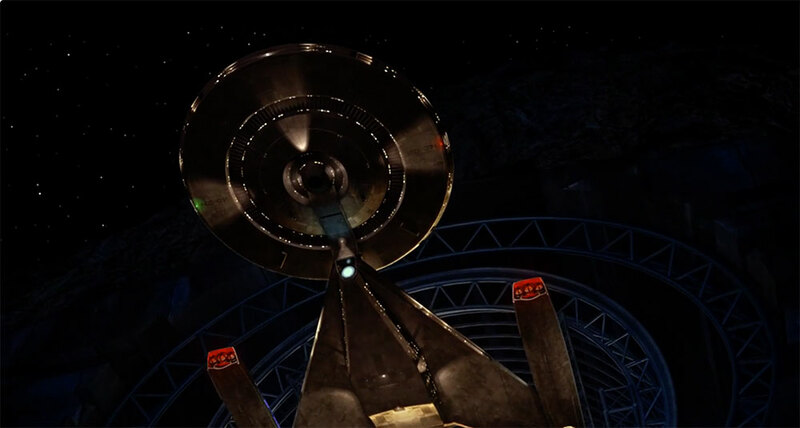 During the Star Trek 50th Anniversary panel at San Diego Comic Con, Bryan Fuller revealed the first test footage of NCC-1031 – USS Discovery. The design may seem familiar to Star Trek fans. that’s because it’s pretty obviously based on one of the legendary Ralph McQuarrie’s unused concept art/designs for the Enterprise NCC-1701A in Star Trek Phase 2/ the Motion Picture. Fuller said it was, but “to a point that we can’t legally comment on it until [our legal team] figures out some things.” It shares some of the classic Star Trek Federation starship characteristics, but the secondary hull is a lot wider and more geometric. We can only wait to find out how they explain it. The nacelles themselves have 3 bussard collectors each, possibly implying that it’s a design that uses previous components in a new way. As an NCC registry it’s not experimental, so it will be interesting to find out what role and mission it will have in the new series. 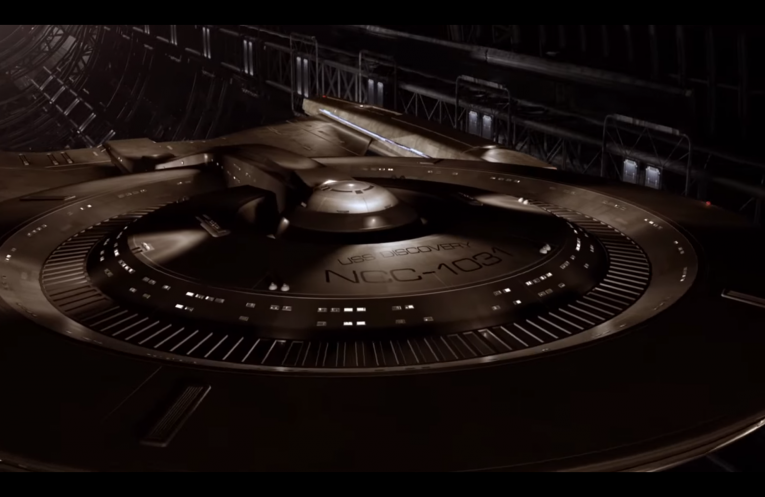 The registration NCC-1031 implies that the ship predates the Enterprise 1701, but is later than the Enterprise series, and the NX-1. There are sure to be more details between now and then of the ship, it’s crew, and the situation. We’ll bring you more news as it’s released about Star Trek Discovery. There are sure to be lots of theories and opinions about this – For sure it’s the first new Star Trek on TV since May 2005. Let’s hope that it’s done well, and will satisfy the hunger for new Star Trek in the classic timeline, rather than the movies with the ‘Kelvin Timeline’. Fuller also confirmed the series will apparently “Not be episodic”, but will tell stories like a novel. This implies that they are learning from Marvel and Netflix.